To all the fathers, the day is nearing where the entire nation will appreciate all your hard work and resilient efforts. And that day is Father’s Day. Fathers often play very busy roles, much like their counterparts do. So, in honor of that day, we compiled a list of man caves that would be the perfect getaway! Because everyone needs to getaway from their chaotic and busy life every now and then. Let us commence this man cave journey! 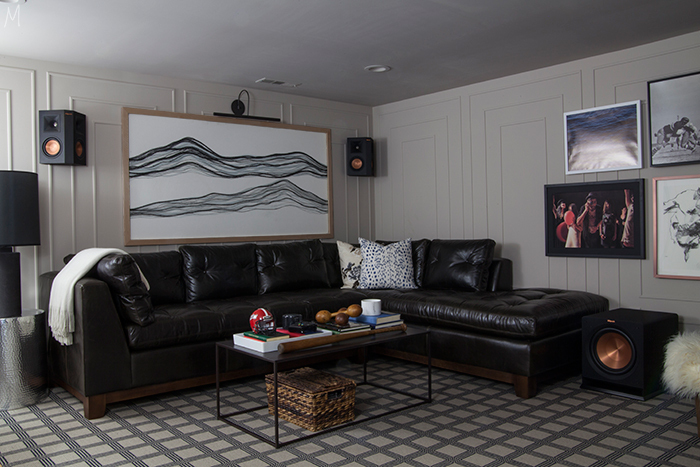 Gwen, of The Makerista, transformed her basement into the perfect man cave with the help of her husband, Micah. And we can’t possibly imagine Micah not getting excited to spend time with his friends in this broodingly beautiful space. Just look at that wall treatment! Absolutely stunning! To create this unique geometric pattern on the walls, Gwen used simple solid pine screen mould. For the rest of the room, Gwen used Very Square Scene I casing and baseboard. 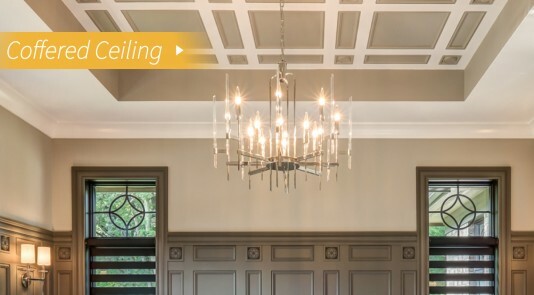 The intricate wall treatment adds structure and architectural interest to the space without being too distracting. On behalf of all the fathers, a job well-done Gwen and Micah! 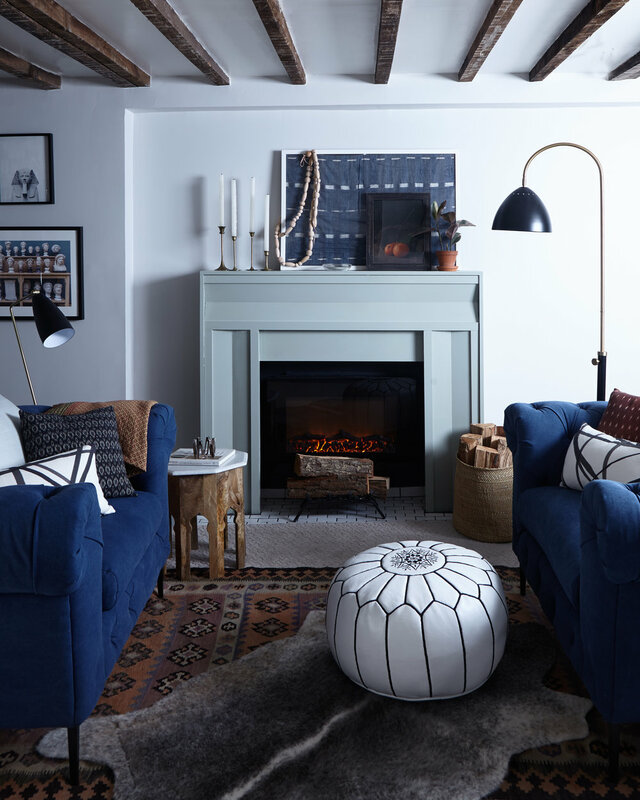 Interior designer Sarah Walker, of The Curated House, revealed her six week One Room Challenge makeover to showcase a gorgeous media center. The media center exudes a sense of wispy elegance that isn’t too feminine due to the black entertainment unit. Making this space a great neutral zone for all fathers. 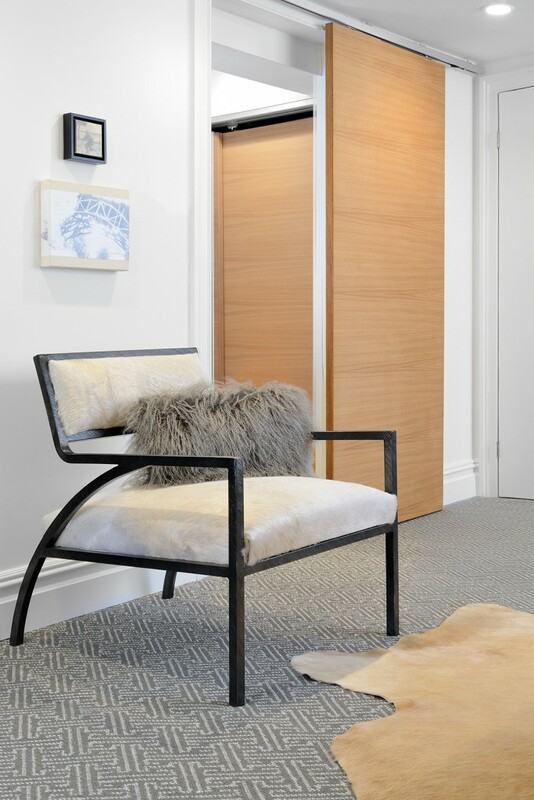 The space utilizes our Fashion Forward and Pretty Simple panel mould to create an eye-catching design throughout the space for elevated luxe! 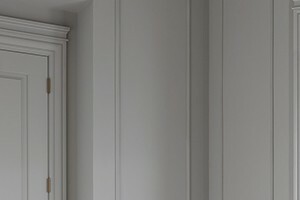 Not to mention, our Very Square rift-cut White Oak interior door possesses strong, crisp horizontal lines that compliment the rest of the trimwork for a cohesive ambiance. 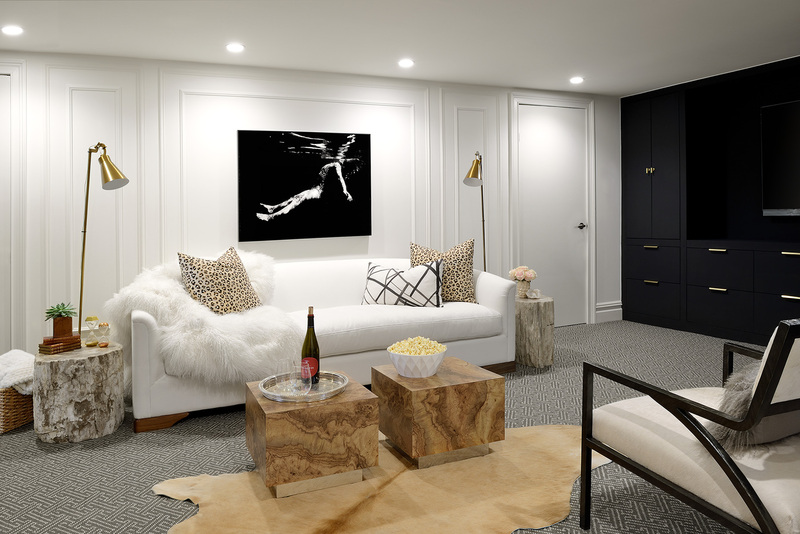 New York based interior designer Megan Pflug, of Megan Pflug Designs, created a space where all fathers around the world would love to spend time in. And now they can because Megan uses the space as an Airbnb rental! The cool-toned decor and furniture are grounded with neutral grays and browns for a well-balanced contemporary space. Perhaps our favorite aspect of this space is the truly original and unique fireplace, which was made using trim elements from our True Craft Collection. Its concave and clean lines create a modest beauty. Now, imagine a dark winter night. You’re in your pajamas, snug in your warm robe with your feet on the ottoman, where you enjoy that glass of scotch while being entranced by the firewood crackling away… That’s something everyone would want to enjoy, not just fathers. 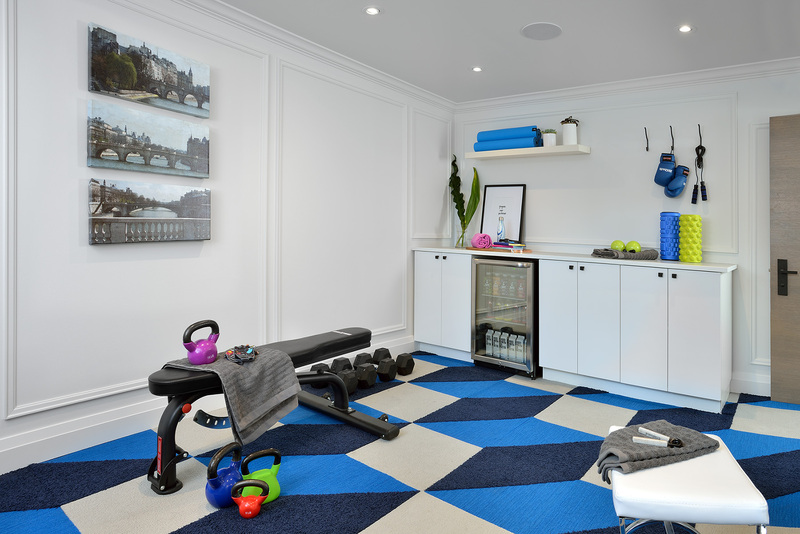 Designer Lisa Canning decided to transform her basement into a home gym that can be used by her family. 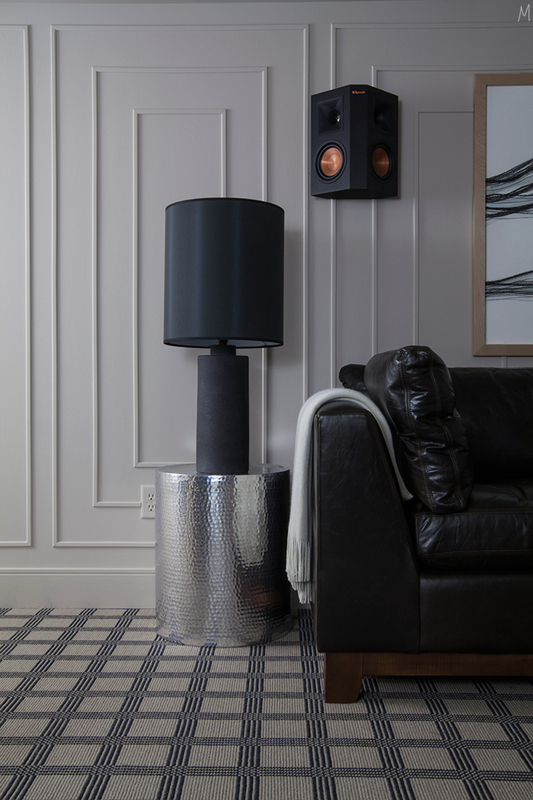 Lisa used our Very Square trim elements to create a wall treatment that’s encased around her basement. The crown moulding adds a heightened illusion to space, which is important as basement suites typically have lower ceiling heights than other floors in the house. 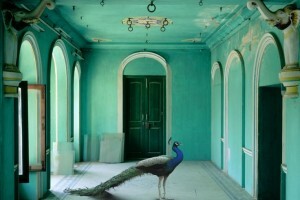 We have to mention how we adore her decision to decorate the place with vibrant colors to enhance the room’s vibrancy, rather than trying to ground it. The simplicity of this room’s decor radiates a sense of zen. Now, who wouldn’t want to break a sweat in a beautiful space that exudes tranquility? We know we would! Let us know what you’re up to for Father’s Day down below or through Twitter. And don’t forget to mention what your thoughts are on these dapper man caves! 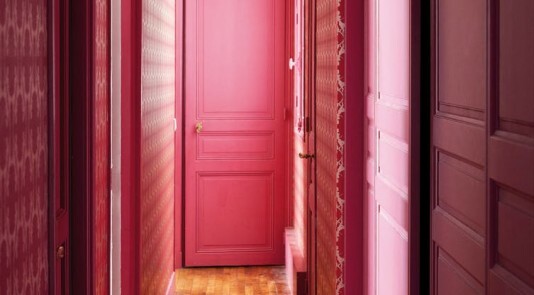 Introduce Summer Colors to Your Hallway!